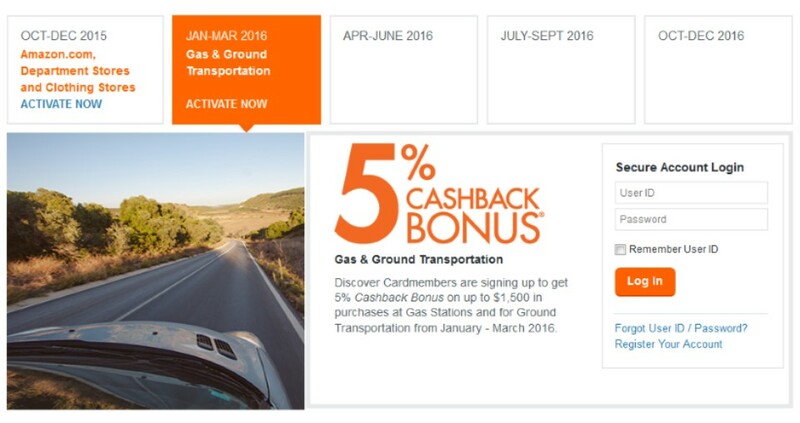 Both the Discover Card and Chase Freedom card have rotating bonus categories each quarter. Registration is now available for both cards for the first quarter of 2016. 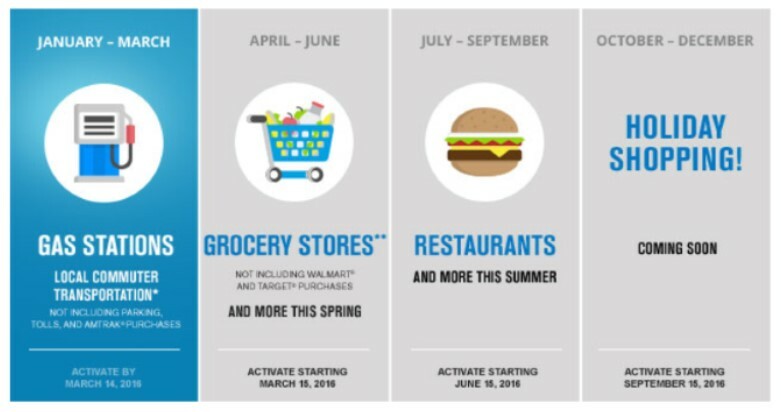 Chase Freedom will give 5x points (or 5% cash back) on purchases made at gas stations and for local commuter transportation (taxis, subways, local buses, etc. but not parking, tolls or Amtrak). I haven’t heard if this includes Uber purchases or not. To register, enter your information HERE on the Chase website. Note that purchases made via travel agencies will be excluded. Register for this bonus HERE at the Discover website. Both programs are valid on bonuses up to $1500 in purchases. This is one of the quarters where I generally don’t max out the bonus. I have trouble finding gas stations that sell gift cards and of course I don’t spend enough in the other categories to reach the max. But I will register anyway because 5x/5% is better than any other bonus I’ll receive for this category for the rest of the year. Now on my Christmas wish list: that Freedom and Discover will each do different categories for the rest of the year so they don’t overlap!